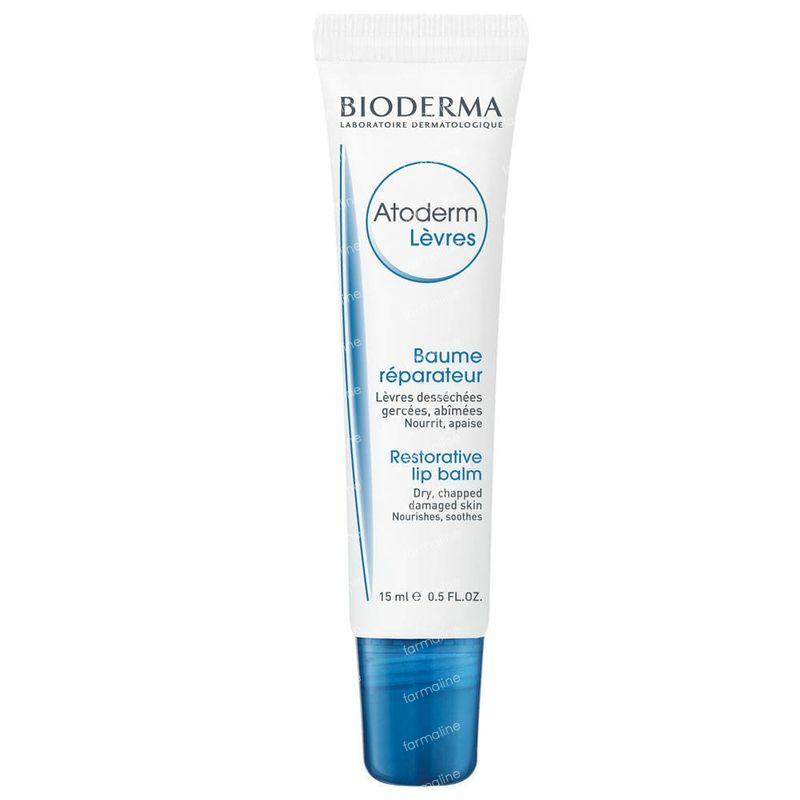 Bioderma Atoderm Restorative Lipbalm 15 ml order online. FREE Bioderma Atoderm Shower Oil 100 ml at the purchase of 2 Bioderma Atoderm products. Max 1 Per Order, Until the end of stock. Atoderm Lip Balm is effective, restorative and takes care of dried and cracked lips an repairs the mucous membrane. The moisturizing and nourishing ingredients restore the damaged lips and give immediate relief. The rich texture of the balm provides extreme comfort and makes the lips soft and supple. Fragrance free, hypoallergenic. A deep repairing, nourishing and softening lip balm for very dry and damaged lips. Apply directly on your lips as often as needed. The applicator tip makes it easier to use the Atoderm lip balm. This is the best balm I have used.I have tried many,but this is the best.I have Lichen Planus ,very badly in my mouth and lips,yous salve is the only one I have found,that gives me help and soothes my mouth for a long time,it's super.!! The best lip balm I have ever had! It nourishes my dry lips, like no other lip balm does. I will order it again. I can recommend it to anyone!